Home Heating and Cooling System installed new and repaired. 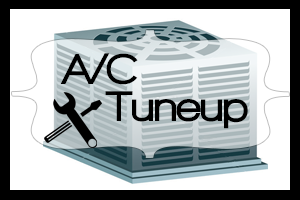 Check out our extensive 16 Step Tuneup Services Guides for both Air Conditioners and Furnaces. We service all brands, makes and models and we are happy to provide you with a FREE ESTIMATE. Click here to request a FREE ESTIMATE or contact us with any questions you may have. You may frequently hear the term "HVAC," which is used to describe home heating and cooling systems. The acronym stands for Heating, Ventilation and Air Conditioning which are the three primary functions of a home system controlling air temperature, humidity, and maintaining the quality of the air in the home. Heating and cooling systems may be classified as central or local. Central heating and central air conditioning is the most standard method, and is defined by a system that produces warm or cool air in one central area and then distributes it throughout the home. There are many types of central air conditioning system, from traditional split systems to packaged product systems. 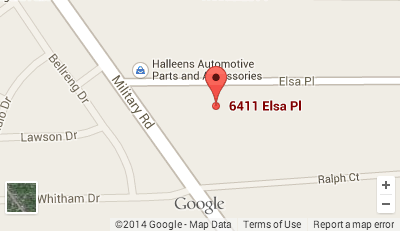 If you are in need of air conditioning repair services in Niagara Falls NY, call us today! Unlike central systems, Local Heating / Cooling produces warm or cool air at the location where it is needed and serves small spaces. Room Air Conditioners and Packaged Terminal Air Conditioners (PTAC) are examples of local heating and cooling. Products such as room air conditioners are local cooling options for smaller areas within homes. Instead of delivering cooled refrigerant to a coil and then to duct work, a room air conditioner contains all the components in a single unit and blows air directly into a room. 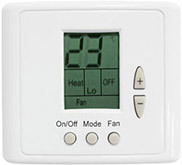 Heating systems keep your home warm and comfortable. If you live in a particularly cold climate, the function of your heating system is a high priority. Most central heating and cooling systems are classified as forced air systems, because they send air through duct work for distribution. The duct work can contain products that filter or clean the air. Radiant systems create heat and deliver it using components such as radiators that distribute the heat into the home. Boilers are a traditional radiant heat source. 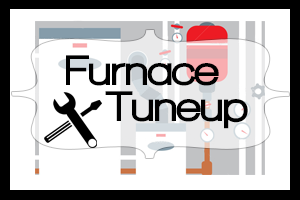 Call us today for all of your furnace installation needs! We provide complete furnace installation and furnace repair services throughout Niagara Falls NY. Whole-home systems are central air conditioning systems that rely on ducts to deliver cooled air throughout the home. An air conditioning system provides cooling, ventilation, humidity control and even heating (if using a Heat Pump) for a home. Air conditioning units cool refrigerants like Puron Refrigerant and Freon and deliver them to evaporator coils, which dissipate the refrigerant and blow cool air into ducts for delivery throughout the home. The best time to have your air conditioning unit serviced is before you will actually need to put it to use. You should have it serviced at least once a year in order to avoid any costly problems and to keep it running at maximum capacity. Call Gray Furnace, serving Niagara Falls NY, today for affordable air conditioning repair and servicing. Don't be left standing in the heat! 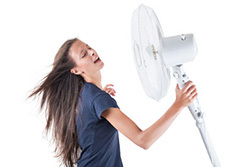 With regular A/C maintenance, you can prevent yourself from costly air conditioning repair services. When your A/C is not longer running properly or you need any repairs, call us and we will help your with all of your air conditioning repair needs. Gray Furnace has been serving Niagara Falls NY and other areas of Western New York for over 50 years. We offer fast efficient service by certified technicians in the areas of Heating and Air Conditioning. We offer Sales, installation and Service to new and existing systems. We are family owned and operated and offer Energy Star Certified techs for optimal home performance for your heating and cooling systems.